AC/SMARTSEAL Quick Shot is our newest technology that does not require pumping down of the system. 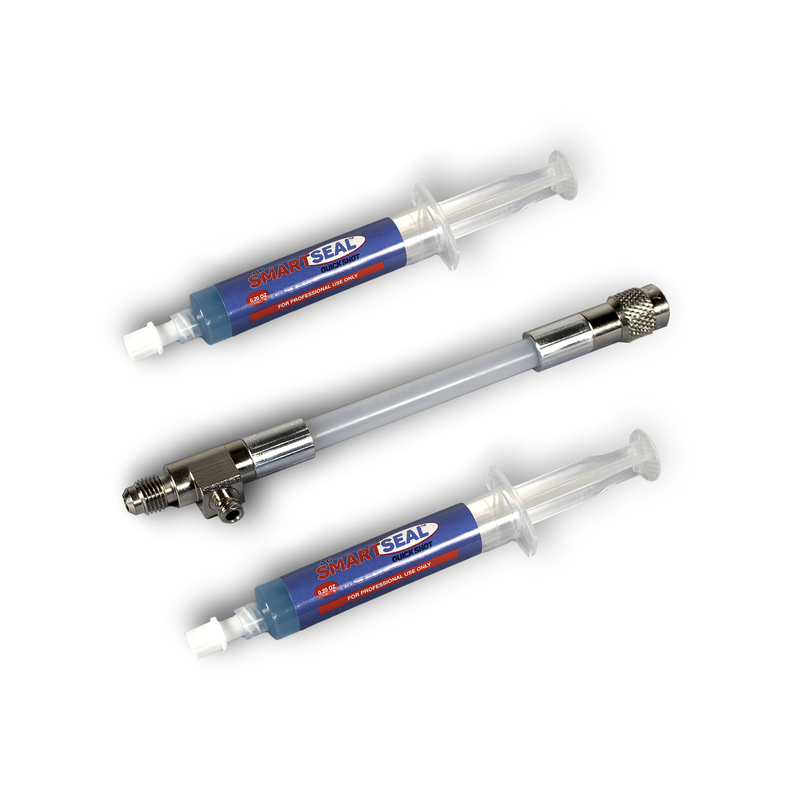 The re-usable injection hose will last for multiple doses and is operator friendly. This product is ideal for direct pinhole repairs and the prevention of refrigerant leaks. Our concentrate solution is a 100% green product, non-flammable, Non-toxic, and safe for the user. 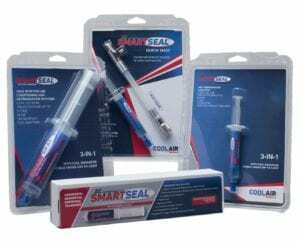 AC SMARTSEAL and SMARTSEAL Quick Shot now become the first 3-in-1 sealant on the market with UV dye, sealant and Cool Enhancer that helps extend system life. 100% green, non-toxic, non-flammable and safe to the touch. All plastics are recyclable and made from recycled material! 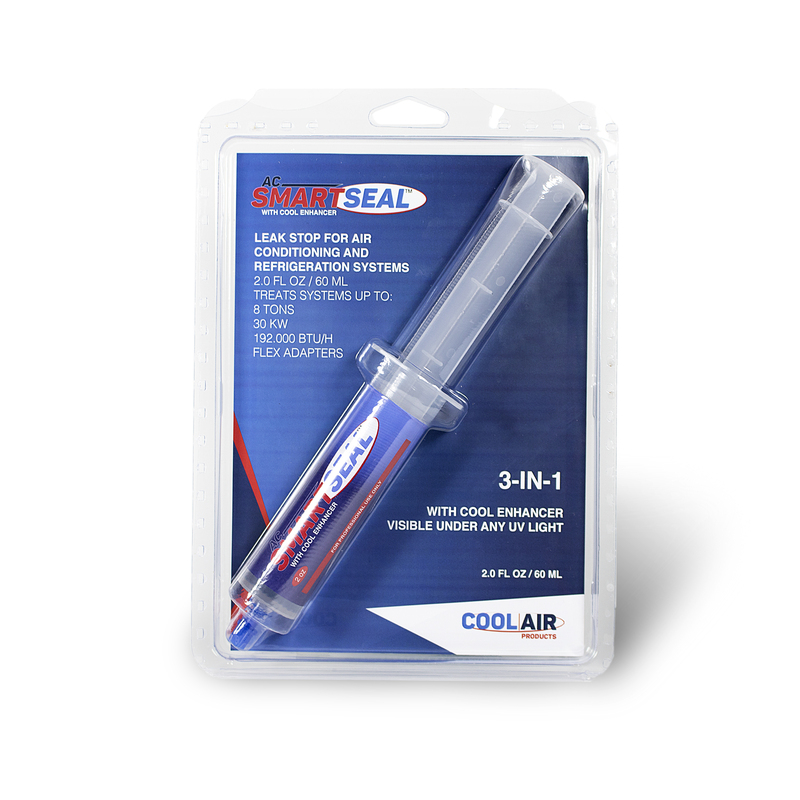 Cool Air Products adds new External Sealant to its product line. 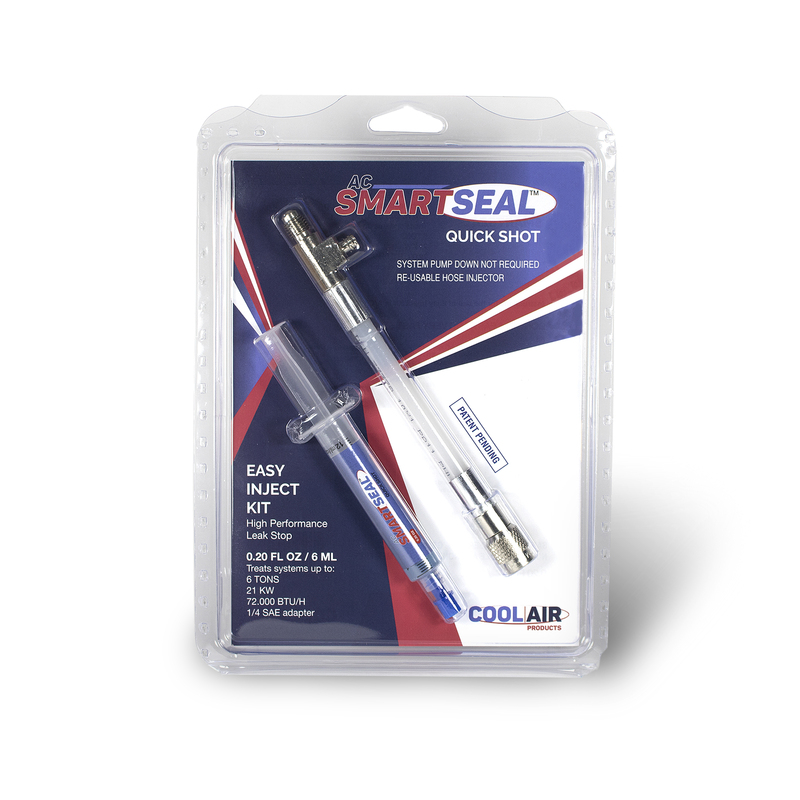 AC SMARTSEAL External seals leaks up to 5mm and holds up to 825psi. The SmartSeal formulas are the first proven, Intertek tested, polymer free sealants on the market. We have years of results and millions of leaks permanently sealed in HVAC/R, mass transit, cold storage, shipping, appliance, and automotive markets. SmartSeal products install in seconds without any special tools. 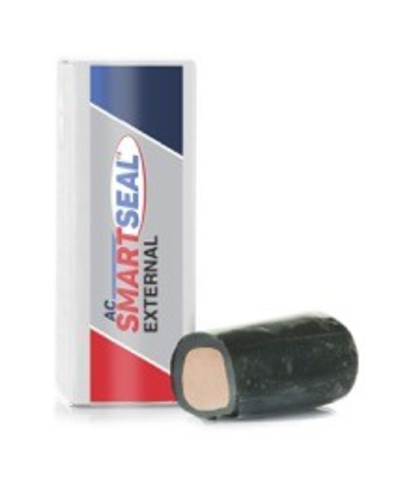 SmartSeal will not react to air and moisture, which ensures that TXV’s, cap tubes and pistons will never plug. 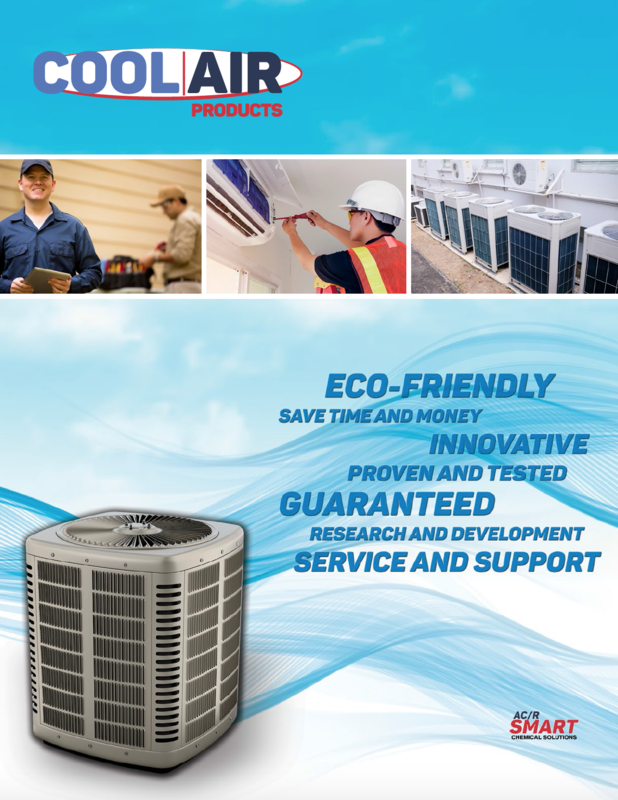 The SmartSeal products are ideal for maintaining our HVAC units at all of our properties. Every hotel that we own and manage use the products for prevention of future refrigerant leaks. 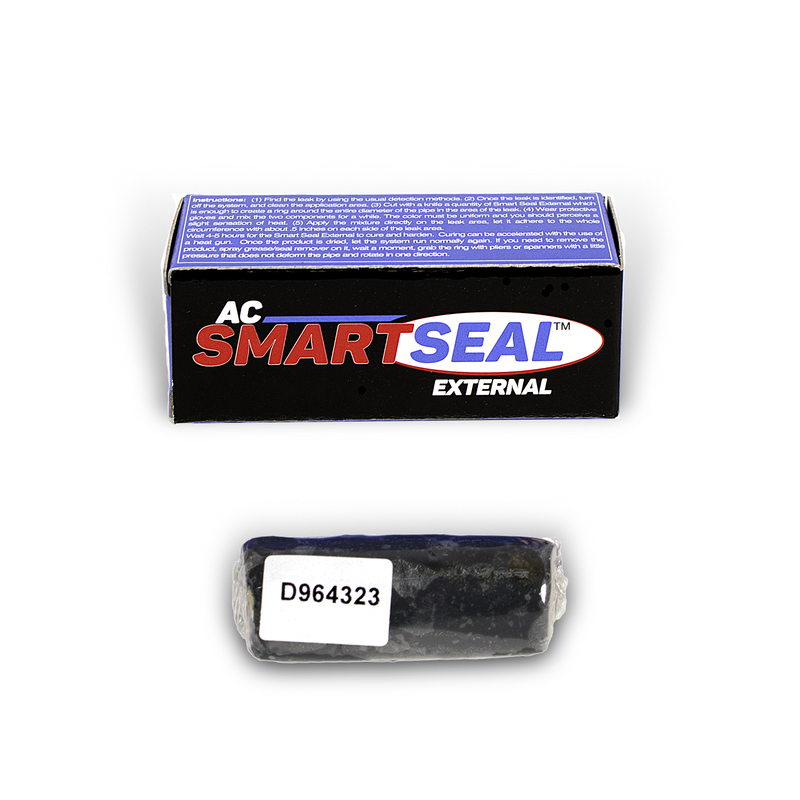 All of our service vehicles now carry AC SmartSeal, to solve leak issues. We say we are “buying time” with the product.